Another busy July fly fishing across Dubois and Thermopolis areas has passed and it is time to move on to August. We are pleased to announce that water flows across the state of Wyoming have finally dropped to summer levels and fly fishing has been fantastic! Our guides have been busy guiding the Wind River and tributaries in Dubois, the Bighorn River in Thermopolis, and wrapping up trips on the Green River in Fontenelle and Triassic Lake until the fall season and cooler temperatures start happening. 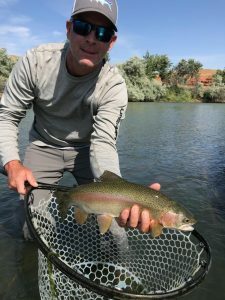 Wind River Dubois, Wyoming Fishing Guide Report: The fishing in Dubois, Wyoming is excellent right now with the Wind River and all tributaries water flows at summer levels and plenty of insects to entice the trout! 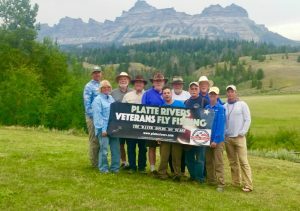 We would like to give a special thanks to Platte Rivers Veterans Fly Fishing crew for joining us in Dubois, Wyoming this last week. We are honored to host this amazing crew of Veterans. Thank you! Our guests have been predominantly catching Yellowstone Cutthroat Trout, Brown Trout and Rainbow Trout on dry foam patterns and naturals. If you are fishing in the area, watch for afternoon thunder showers and lightning. Find a safe location and wait it out. It will pass. New to this season are raft float fishing trips down the Wind River in Dubois to access hard to reach wade fishing locations. Call or email today to enquire about this option and conditions. Click HERE to see Dunoir Fishing Adventures weekly Wind River Fishing Reports on the Orvis webpage. Our guides have had a busy July on the Bighorn River in Thermopolis, Wyoming. Water flows out of Boysen Dam have dropped to half of what they were a week ago; down to 1875 cfs currently. Our guides have been reporting hit or miss fishing conditions with some days fishing very well, and other days getting one or two nice trout to the boat a chore. It has been a slow season overall on the Bighorn River with our trout numbers down to half of what they were a few years ago. 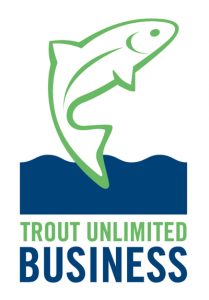 If you are planning on fishing the Bighorn River right now, just know that you will have to work hard for them and fish in the boat is not guaranteed. Our guides will work hard despite the conditions to ensure you have a great trip. The fishing conditions should only improve as the water flows level out and cooler temperatures arrive. 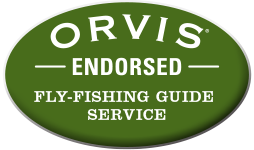 Click HERE to see Dunoir Fishing Adventures weekly Bighorn River Fishing Reports on the Orvis webpage.